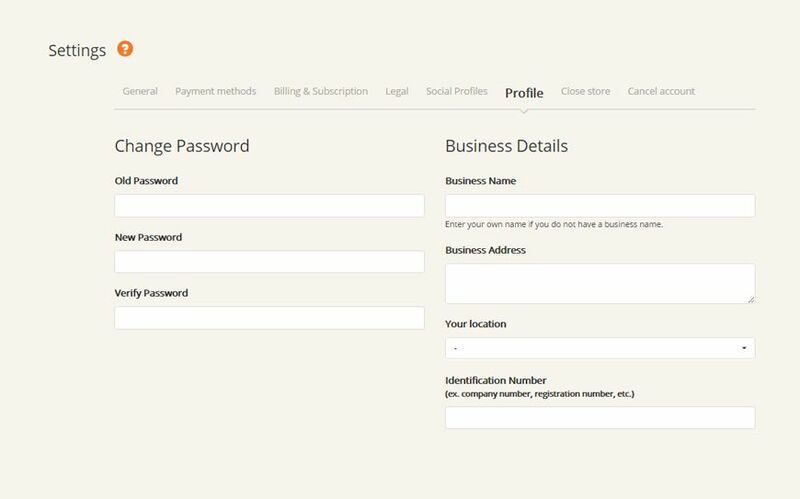 Under the Settings menu Profile tab you can add your company details and you can modify you Soldigo dashboard password. Be sure to click Save when you finished making changes. We’re saddened to hear that you would like to delete your Soldigo account, but it is your decision. 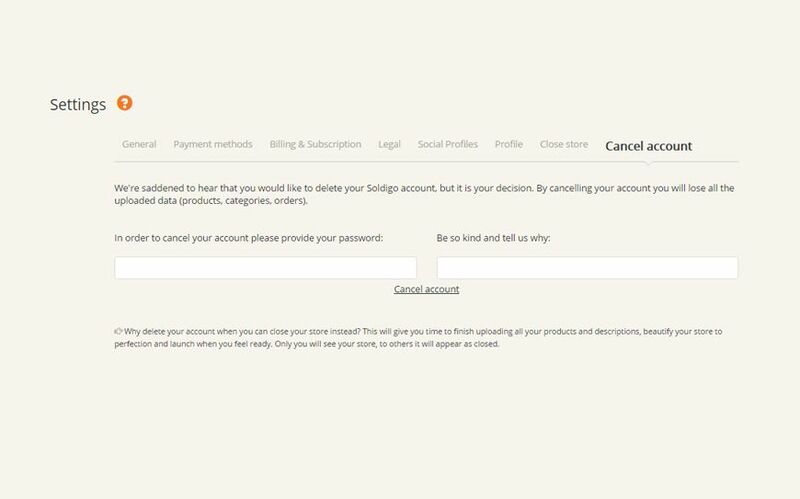 By canceling your account you will lose all the uploaded data (products, categories, orders). In order to cancel your account add your password and be so kind and tell us why you are leaving us.